There are plenty of apps for outdoor activities on the market. Way too many, ion you ask me. Personally I think the following three are the most interesting ones. AllTrails: A great app for being out in mother nature. AllTrails isa great for planning your next outdoor adventure. The app allows you to create tracks, save and share them. It allows you to edit trails or add new ones to the huge number of already existing ones. You can add shareable photos, write and read trail reviews. All trails can be viewed in detailed maps that can be synced with an online account. The app has a clean and well-organized menu and is a great choice, no matter if you like hiking, backpacking, mountain biking, equestrian, trail running, and other trail activities. MagicSeaWeed Surf Forecast: For anyone into muscle powered activities on open water, this is one of the best apps around. The MagicSeaWeed Surf Forecast app will provide you with information about the weather, the tide, the winds, the waves and temperature from thousands of locations from all over the globe. While the app is geared towards surfers, it’s a great info-app for sea kayakers as well. Photo Pill: As many of us like to take stunning pictures when we are out in nature, you might be interested in Photopills. It’s an amazing app that helps with the planning and execution of amazing landscape photographies. Combining sun and moon position prediction, location shoot planning and instant calculators for exposure, depth of field, time lapse sequences and much more, the app helps you to be in the right spot at the right time. If you are into more demanding photo projects Photopills actually helps you with celestial alignments for a perfect night shot. Winter time is reading time. Here are three of my favorite adventure books of the last 12 months. Books to inspire; books that leave you in awe; books that kindle your adventure spirit. And after that some ofd my favorite books about amputees and being different. Anna McNuff: The pants of perspective: Anna is an endurance athlete, adventurer and self confessed mischief maker. Once upon a time she represented Great Britain at rowing, but after ‘retiring’ in her mid twenties, she began darting around the world on the hunt for new and exciting endurance challenges. Named by The Guardian newspaper as one of the top female adventurers of our time, Condé Nast Traveller also recently included her in a list of the 50 most influential travellers in the world. On a mission to find the limit of her own potential, she aims to help others unlock theirs too. Ruth Middleton: Alexandra David-Neel - Portrait of an Adventurer: Alexandra David-Neel is actually the person who inspired my to study ancient Indian sciences and Sanskrit more than 25 years ago. This book is a unique biography exploring the inner journey of a woman whose outer life was a thrilling story of passion and adventure. Alexandra David-Neel (1868-1969), born in Paris to a socially prominent family, once boasted, "I learned to run before I could walk" In the course of a lifetime of more than one hundred years, she was an acclaimed operatic soprano, a political anarchist, a religious reformer, an intrepid explorer who traveled in Tibet for fourteen years, a scholar of Buddhism, and the author of more than forty books. Another piece of essential gear is a headlamp. There are hundreds on the market ranging in price from a few quit to several hundred. I am not too fussed about special features and like a solid no-nonsense headlamp. The following ones are good picks, if you ask me. The Black Diamond Storm is a bright light for any weather (although a bit pricey, but currently on sale at Amazon). The Black Diamond ReVolt is great as it is rechargeable (also currently on sale at Amazon). The Petzl Tikkina in a great option is you are looking for a cheap general purpose light or a simple back-up option. No matter of you are only out for a day in the hills or if you set off for a multi-day paddling tour off the beaten tourist routes, it’s always good to be well prepared for any situation. This is especially true for amputees as we often don’t have the option to run the raining kilometers of a trail when a thunderstorm is approaching or if we suddenly find that mud slide cuts off our descent route from a mountain (something that might not pose too much of an obstacle for two-legged people. The further you are out into mother nature, the more you rely on yourself and your skills. And in some cases on your emergency equipment. On many walks I carry either one of the following pieces of kit with me. The Soto compact foldable stove, my personal favorite because of the in-built auto-igniter. This is where most of the hiking and climbing gear comes in. For me the most important piece of gear to be active as an above knee amputee. They help with balance, they allow me to safely walk on muddy paths, ice and snow. They take weight of my remaining knee when descending from a mountain and are key when crossing a stream or walking over scree or hopping from boulder to boulder. In my eyes the Black Diamond Trail Pro are high quality poles for all seasons and while not cheap, they are great value for money (and they are currently on sale on Amazon). Any person active in the outdoors needs a backpack (actually often more than one). One of the issues above knee amputees are often struggling with is that the hip-belt tends to push against the upper rim of the socket. So it’s essential to find a backpack that has the right length and is adjustable to your special needs. After long years of looking for the perfect backpack for most of my activities, I have settled on the Osprey Mutant 38. But again this is my personal choice and your body might like a different model, so look around and talk to the experts from your local outdoor shop. These sets consist of a harness, a belay device and an HMS carabiner. There are plenty of good options on the market. I personally like products from DMM and Black Diamond as I think they are good value for money. Best check with your local climbing or outdoor shop. Make sure the harness fits well and then head over to the next climbing wall. Goal Zero Nomad 7 plus in combination with a Goal Zero Power Pack. Anker 21W Dual USB Solar Charger. The Jobi GorillaPod - almost a classic with its bendy legs that work in almost any situation. The Manfrotto Befree - an amazing travel tripod for small and midsize cameras. 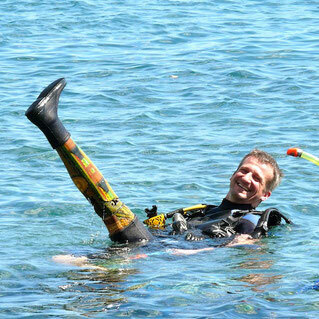 Encourage amputees to try out something new by giving them a voucher for an exciting activity. A day with a coach at a climbing gym, a session ride on a ZipWire, an introduction weekend for canoeing…the possibilities are endless and easy to find. 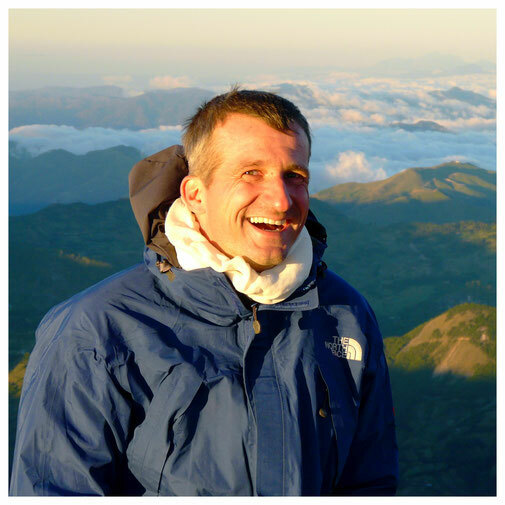 A good first contact might be a national mountain training centre like Plas Y Brenin in Wales or Glenmore Lodge in Scotland. Organisations like Access Adventures and Paradox Sports are also offering amazing courses for people of all abilities. Another good point for further enquiry are national sports associations (like the British Canoe Union or the like). Okay, we are now moving into the more expansive options. Sure not for everybody, but all of them definitely worth thinking about. If you are into kayaking, you need a good paddle. And this is where most of us beginners get it wrong. We spend quite a bit on the kayak itself and then opt for the cheapest paddle there is. Bad choice as I had to learn the hard way. As many of you know I love sea kayaking. And I finally found my paddle of choice: The Werner Shuna is in my eyes the perfect paddle for playing along the coastlines. I must admit that I hardly leave the house without a camera and really enjoy taking pictures. For me the process of taking pictures and focussing on composition and timing is often what counts. Often much more than the end result; i.e. the actual picture. For me it’s a kind of outdoor meditation. Depending on what you are interested in, there are plenty of great cameras on the market. If you are into action sports, the GoPro Hero series is probably still the way to go. Although there are great alternatives like the Sony FDR-X3000 and others. If you want a pocket-sized Jack of All Trades which gets you an amazing photo quality, the Panasonic Lumix ZS100 might something for you (and it's currently almost 30% off on Amazon). And if you want a very reliable workhorse to capture all your travel experiences that allows you even more room for creativity, I would have a look at the Canon PowerShot G5 X. 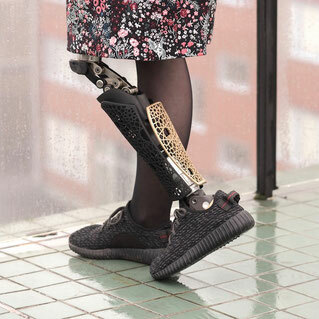 The days of boring prosthetic devices are over. Finally. There is an increasing number of stunning prosthetic covers on the market. Something to express your personal style, something to proudly show off your robo-parts, something to dress up or make a bold statement. So why not surprise an amputee loved-one with one of these covers. Here is a list of companies that produce them. If you are looking for something really special, this is it. 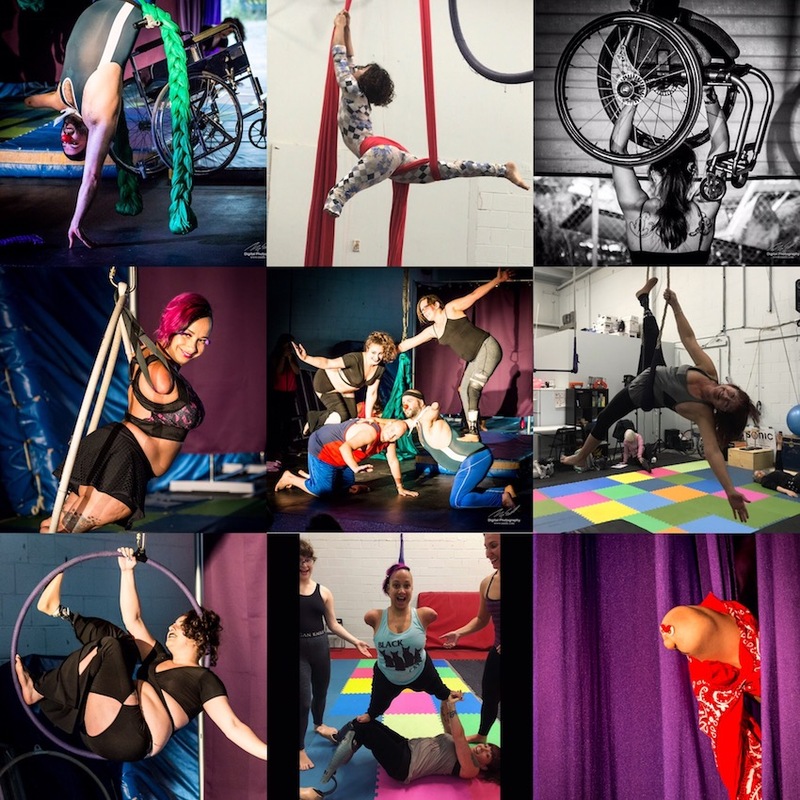 The always amazing Erin Ball will run an Amputee Circus Camp in late June of 2019. The camp is open to anyone with a limb difference over the age of 18. It is being held in Kingston, Ontario/CANADA at Kingston Circus Arts. We welcome beginners and beyond and will explore aerial arts, group acrobatics, hooping and more. For more information check out here Facebook page (and more not his soon). If you are interested make sure you book early as I am sure places will sell out quickly.